The Thermal Club is much more than just a race track! 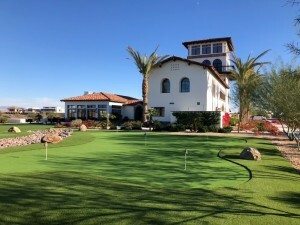 THERMAL, Calif. – After returning home from the UK, I was keen to start to figure out my plan for the 2019 season. 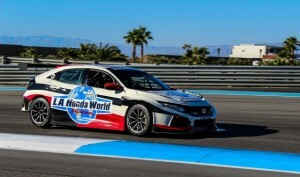 It wasn’t long before I was back behind the wheel, this time shaking down the L.A. Honda World Racing Civic TCR at The Thermal Club in Southern California. When we arrived at the club, it was clear that this wasn’t just a normal track, it’s a motorsport oasis. The track is lined with private villas, each one with balconies overhanging parts of the track. Everything from GT4 cars, Radicals and Ariel Nomads were in the Motorsports Village. One of the owners of L.A. Honda World is a member of the club, so we were able to have access to a normal track day. We ran the North Palm and Desert configuration, which is a technical, 2.7-mile-long circuit. Doing some recon laps showed that there isn’t any true runoff area, so I would have to be careful on track. Any small mistake could be costly. I took the first session easy on a set of old Yokohama tires that came on the car just to get used to everything. I quickly found that the rear tires needed a bit longer to get up to temperature than I’m used to. After getting the basics down, we threw on a new set of Michelin tires to see how the car would react. I went about 3-4 seconds faster compared to the other set. The business area of the sophisticated Civic TCR. I can best describe the Civic as a combination of the MINI I drove this year with a modern formula car. It has the same paddle-shift transmission that’s found in an Indy car, full Motec data and plenty of aero grip. The suspension is very stiff, so it doesn’t feel like a street car. Over the course of the test day, we got lots of data about the car and learned more about what to expect for future times on the track. 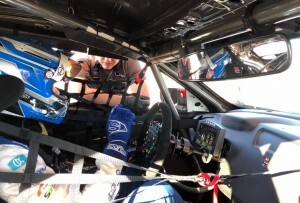 I had a really great time at Thermal and hope to be back behind the wheel of a TCR in the near future! The MRTI Shootout will be another huge opportunity. My next adventure will be the Mazda Road to Indy USF2000 $200K Scholarship Shootout in just a few weeks’ time. I’m really looking forward to having the opportunity to progress my open-wheel career further in the United States. To be honest I didn’t think I would be able to race formula cars at a national level but the Team USA Scholarship and MRTI Shootout have provided me with an opportunity that I didn’t have before! Being able to compete with over 20 drivers across the globe is going to be really special. 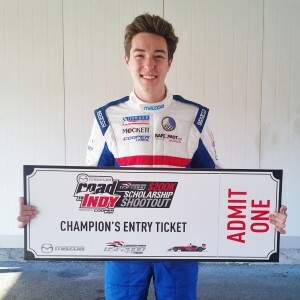 There’s a lot at stake, too, with the winner gaining a $200,000 scholarship prize to move onto the first step on the Mazda Road to Indy, the Cooper Tires USF2000 Championship, for 2019. There’s still a lot of uncertainty for what I’ll be doing next year. But whether it’s to stay in sports car racing or go to open-wheel, I’m very excited about what the future holds!